The global skincare market is expected to reach over $135 billion by 2021, but with only one dermatologist for every 36,000 Americans, prescription treatments are often inaccessible and expensive—until now. 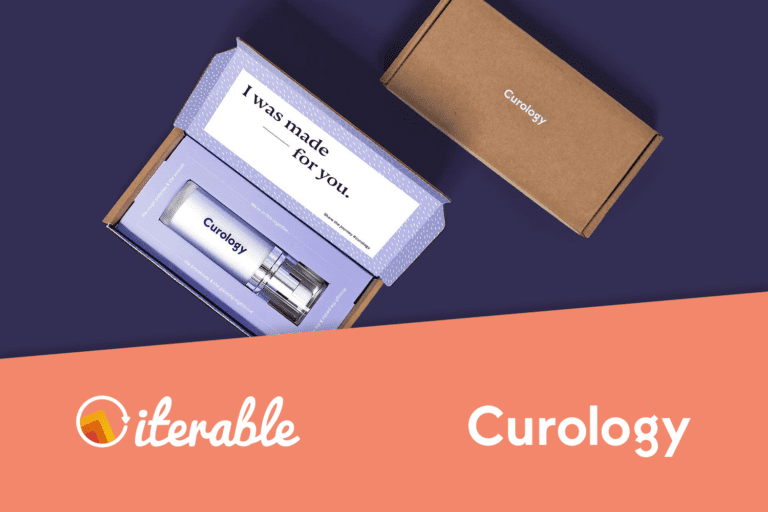 With over $17 million in funding and a business that has grown by over 500 percent in the past year, Curology is on a mission to provide personalized prescription skincare for acne and anti-aging directly to tens of thousands of subscribers. Curology sets itself apart from other skincare companies by offering their patients customized combination treatments and one-to-one interactions with licensed dermatology providers. 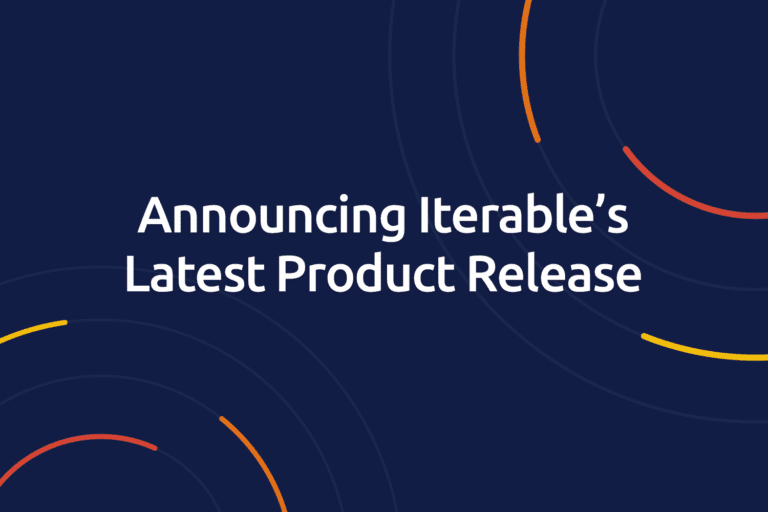 To achieve this personal touch, its team of marketers rely on Iterable’s Growth Marketing Platform to deliver highly personalized content and relevance at scale. Download the Curology case study to learn how the company improved customer engagement by 26% and increased sales by 10% by using Iterable. 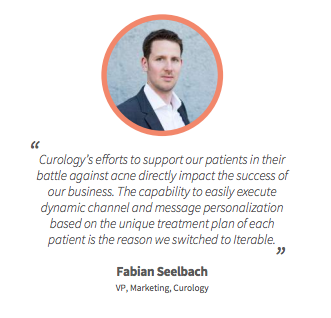 In the past, the growth marketing team at Curology used two separate platforms to manage email and SMS campaigns. Data silos hindered the company’s ability to build robust subscriber profiles and deliver personalized messages in real time. Now, by partnering with Iterable, Curology has eliminated its data silos and increased its treatment plan compliance by 14 percent by incentivizing its customers with highly relevant messages. For example, members receive a daily SMS reminder to apply their acne treatment. Those that do are rewarded with a funny gif, encouraging patients to stick with their prescribed treatment regimen. 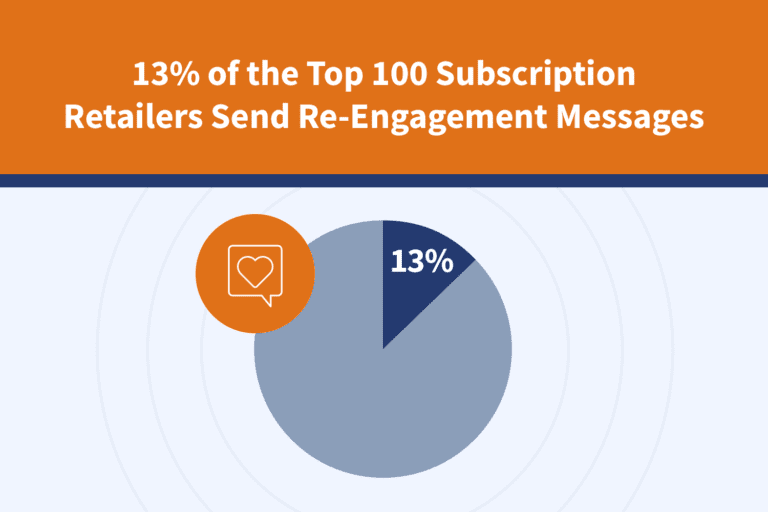 Those who aren’t engaging via SMS are sent targeted email follow-ups. This measured approach to SMS and email messaging is part of an in-depth process to drive relevance at every stage of Curology’s customer experience. The company uses Iterable to ensure that members are following their skincare regimens and achieving better outcomes. And as Curology’s marketers can attest, the more satisfied customers become, the greater the impact on top-line growth. Read the Curology case study for all the key takeaways and a full workflow spotlight.